When I was a postgraduate student, I moved into a North London house as a lodger. My room was intended to be as self-contained as possible, being a decent size, with a shower in one corner and a sink, a fridge and two-ringed Baby Belling oven in another. There was just one thing it lacked and I asked the landlady, a university lecturer, whether she could get one or pay me back if I found a cheap one myself. The item in question was a small drop-leaf table, so I had somewhere to sit to have my meals. Her reaction was not what I had expected. She seemed genuinely amazed that I – a young, single man – would want to eat at a table. Perhaps I was odd. The lodger before me didn’t even know if the oven worked, because he ate only takeaways. It’s not just young men either: one survey suggested that nearly a quarter of British homes do not have a dining table, and in those that do, fewer than half are used for eating meals. The decline of the dining table has multiple causes. One is simply space. 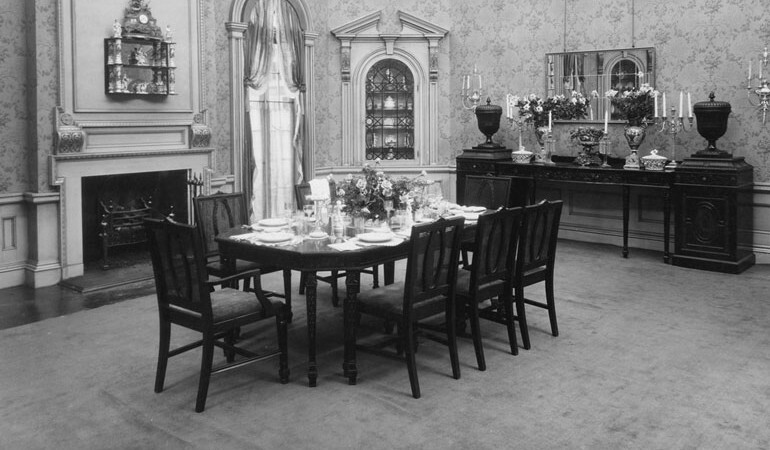 Not so long ago, even many humble houses had separate dining and living rooms. Now hardly any have, due in part to the fashion for open-plan and also to the rise in house prices relative to income, shrinking the living space people can afford. Some homes are now just too small to fit a table in. Another trend is for more solo living. 7.6 million people (around 15 per cent of the adult population) in the UK live alone, meaning nearly a third of British homes have only one occupant. However, as my own example shows, that in itself is no reason to do without a table to eat at. The main culprit is cultural, not economic. Informality is now the name of the game in dining, in and outside of the home. The biggest growth area in the restaurant industry, for example, has in recent years been in the “informal” or “causal” dining sector, those places between traditional restaurants and fast food outlets where service is speedy, children are encouraged to colour in pictures at the table and customers are never “sir” or “madam” but “guys”. In the home informality usually means eating in front of the television in an armchair or on the sofa. Knives are largely redundant for this, which is why when people do eat with both knife and fork, it increasingly common to find people not knowing how to hold them. Right handed people, for instance, find it hard to hold a fork in the traditional left hand because when it’s the only cutlery being used, people tend to prefer their dominant hand. This shift to the more causal might appear to be a benign change, with little loss. If the choice is between the stuffy “civility” of old or the relaxed informality of now, then there is strong case in favour of the present. But that is not the choice. Eating at table should not be equated with formality and outmoded etiquette. Its main association should be conviviality. We sit around a table, but in front of the TV. We eat together at the table, but merely at the same time elsewhere. Even when eating alone, however, dispensing with a dining table comes at a cost. When we have our meals while doing other things we are not eating, we are merely feeding. We cease paying attention to what we are ingesting and our food becomes mere fuel. First and foremost, this detracts from the pleasure of eating. Our three meals a day should provide an opportunity for simple quotidian pleasures, ones we should take time to appreciate and feel thankful for. In addition, there is increasing evidence that when we are distracted, we eat more. Our waistlines expand not because we are greedy, but because we just don’t notice how much we’re shovelling down. People who care most about food tend to eat less, because they make sure what they eat is good and have no interest in eating for the sake of it. The people who eat most are those who just reach for the most convenient thing and finding themselves unsatisfied, then reach for something else. The decline of the dining table is therefore no trivial matter. It marks a decline in the attention we pay both to other people and our food. There have been many campaigns to encourage people to eat better, based around ideas such as five-a-day, reduced fat and cooking more. Perhaps as much or more could be achieved simply by encouraging people to make sure they sit down at a table. Once they do that and so start paying attention to what they’re eating, maybe other desirable eating habits will follow naturally.